This review aims to help readers find the best pizzelle maker on the market for a traditional and perfect Italian cookie. Who wouldn't love pizzelle? Their tiny size yet delicious taste makes them a must-have dessert in any kitchen. Want to make them on your own? You will need a specialty equipment to achieve the delectable taste you want. But with so many brands available, which one should you choose? Well, this is where we could help! 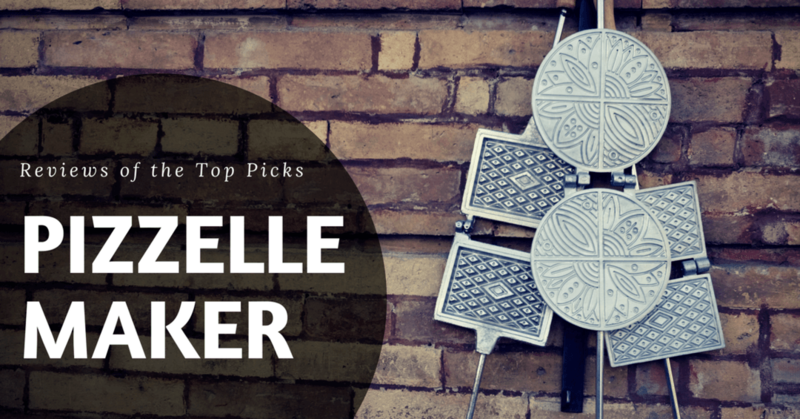 Below, we have listed some of the best pizzelle makers that are guaranteed to impress your pizzelle needs and budget. A pizzelle is known as an Italian cookie which takes on the form of a waffle. This delectable dessert is made out of eggs, flavorings, butter, and flour. And traditional Italian pizzelle would usually have the touch of anise whereas modern versions of the said cookie might bolster vanilla or lemon zest seasonings. And of course, you couldn’t enjoy the crisp and delicious taste of the said Italian treat if you don’t have the right machine to make it. The electric or the cast iron pizzelle maker that take on the form of an American waffle maker have the features which perfect match in crafting significantly cooked pizzelle. Yes, there is the fact that you can make waffles with the use of the Italian pizzelle maker. However, you can never get a pizzelle from the waffle maker. You are shopping for the best pizzelle maker, but do you have any idea on how to use the machine properly and make the best pizzelle too? First, find a comfortable space to make pizzelles since you will be dealing at the iron for about half an hour or even more. It would depend on how many pizzelles you are going to bake. You might consider cooking at your home garden if you wanted to. Second, before you plug in the machine, open the top of the iron. You have to dab oil on the paper towel and rub it on the inside of the iron. You have to coat the whole pattern gently. It is a good thing to do so to help you clean the machine later on. Then, plug in the iron. There will be a light indicating that the iron is warming up. You need to let the iron heat as you prepare the pizzelle dough. If the lights turn off, your pizzelle maker is now ready to use. Now, put about a tablespoon of pizzelle dough in the center of the pattern. Once the pizzelle iron makes two cookies at a time, you have to put a tablespoon of dough into every pattern. And finally, when the indicator light illuminates again, the pizzelle is ready. You have to open the latch and so the cookie must have a very light golden color but not brown. You might use a spatula to lift the cookie from the iron gently. 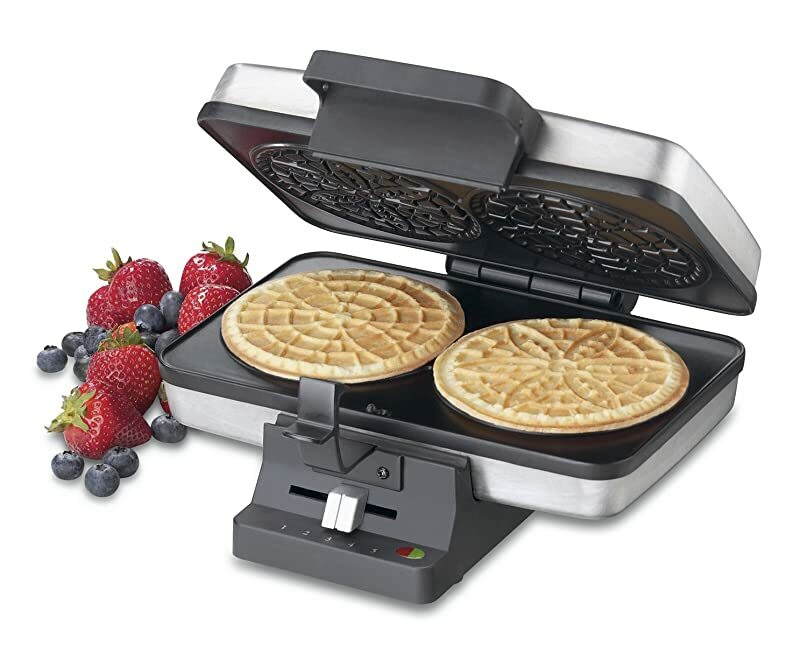 Aside from making incredible pizzelle, the pizzelle maker could also be used in making waffles. Indeed, a standard waffle maker has no ability to deliver such results. However, the best pizzelle maker could offer the texture and taste which you crave while having a breakfast and setting the stage leading to a productive day. And also, a pizzelle maker could also be used in making waffle cones. 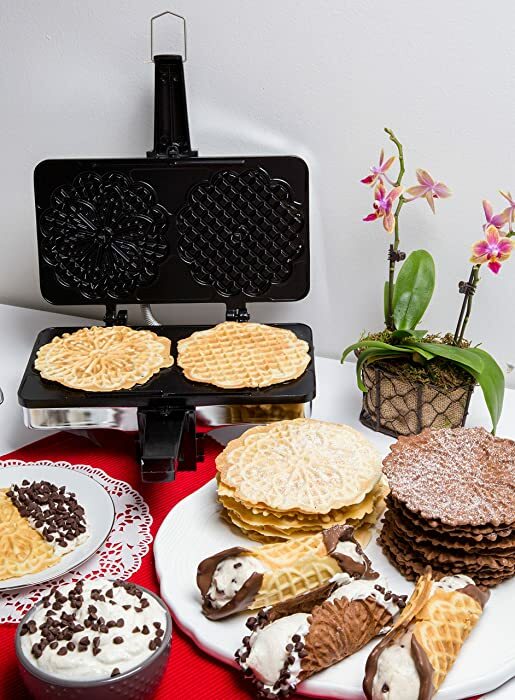 You could also enjoy a frozen delight along with a waffle addition to reality using an electric pizzelle maker which comes with a roll feature being crafted particularly for those who are searching for alternative ways to use the pizzelle machines. Indeed, there could be numbers of ways on how to use your pizzelle maker. There are different models out there that make the pizzelle varies in sizes and numbers. There are some that make 3 or 4 pizzelle at a time, but they could be only small. Other options might make large cookies however only one at a time. You have to pay attention to the numbers for you not to let someone in the family wait too long. You should look for a pizzelle maker that isn’t complicated to use or those models which come with features which make cooking a lot easier. Making pizzelle shouldn’t be complicated rather it should be more comfortable with the use of this machine. Pizzelle makers do come in a choice of two materials which are the non-stick Teflon coated and the traditional aluminum one. The Teflon coated material is so easy to clean, and it as well makes removing cooked pizzelle a lot simpler too. You don’t need any extra oil to be applied. On the other hand, the aluminum material gets a bit hotter. However, it cooks faster. But, it might need some extra oil for the pizzelle not to stick. Pizzelle has a lot of butter in them so sticking might not be a problem at all. Nevertheless, the said option is harder to clean than the Teflon coating. There could also be two types of cooking methods that are available – the modern electrical type and the traditional stove top iron. And each of them has their pros and cons. 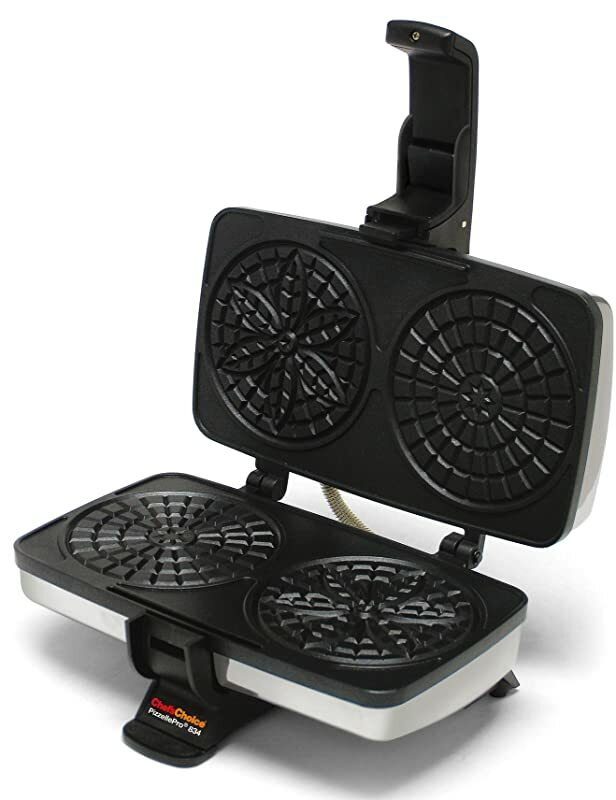 The electrical type of pizzelle maker is a lot easier to use, and it offers numbers of automatic features. You might choose how well cooked you want for the cookies, and it will warn you if they are ready. This type is also a lot bigger and could make numbers of pizzelle at the same time. The stovetop iron, on the other hand, requires more skill to use. The process of making pizzelle isn’t hard but using the stove top iron would mean that you need to turn it and judge the timing just right. However, this option is completely portable. You might use it on BBQ, or you could take it on your camping trips. These are just a few of the factors that you should consider once into shopping for the best pizzelle maker on the market today. The Cuisinart WM-PZ2 Pizzelle Press has some excellent features than other pizzelle makers out there. This pizzelle maker has indicator lights that show when it is hot enough to use, as well as five browning levels to help you determine how toasted you want the pizzelle to be. The non-sticky plates will make it easier for you to remove the freshly cooked pizzelle without crack while ensuring a uniform cook with the locking lid. Though this pizzelle maker has small plates, plus the latch breaks quickly. One of the baker's delights, CucinaPro Non-Stick Pizzelle Maker features a stem guard to protect your hands from getting burned up when taking out the pizzelle. It has a measurement of 5" across, which makes it a perfect size for a bite- or cone-sized treats. 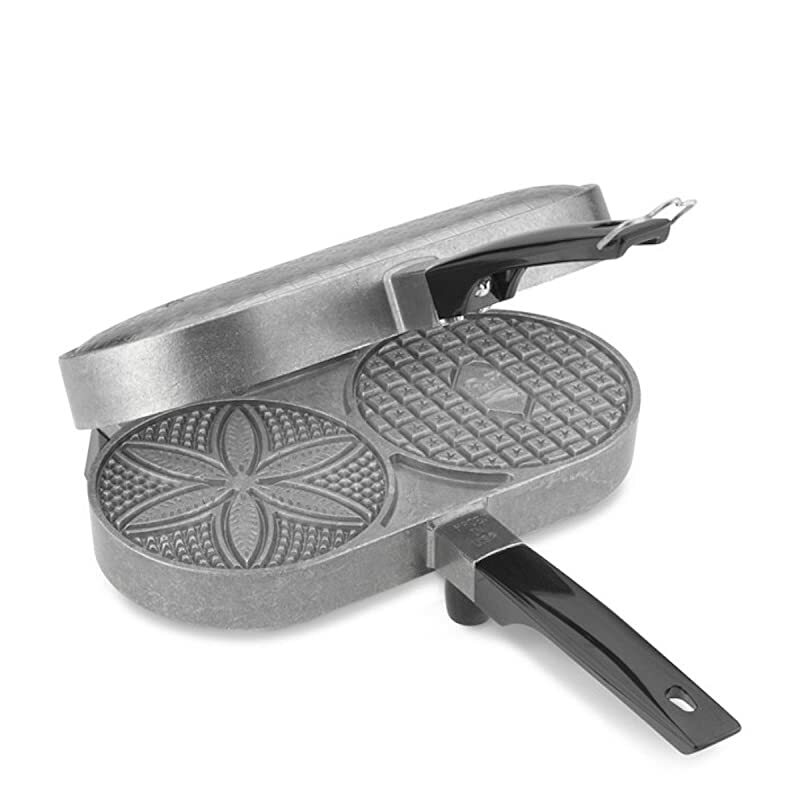 Not only that, CucinaPro Non-Stick Pizzelle Maker features a various attractive design on both sides of the cookie - a basic geometrical design and a flower with six petals. You can make use of them to accent your artistic design as per your desire. The unit is not dishwasher safe, but you can find it very easy to clean due to its nonstick surface. The Chef's Choice Pizzelle Maker can be able to bake two pizzelle at a single time in just less than 30 seconds. 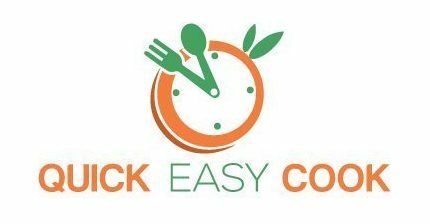 Such a great convenience for those who are always on the go or with busy schedules! For individuals who are impatient and considers 30 to 45 seconds very long to make pizzelle, then Chef's Choice is such an ideal product for you. In just 15 seconds, you can make your own fresh, delicious pizzelle! If you love making cannoli, this product will also help you. Quicker cooking time means higher chances of burning the pizzelle, so watch out carefully. 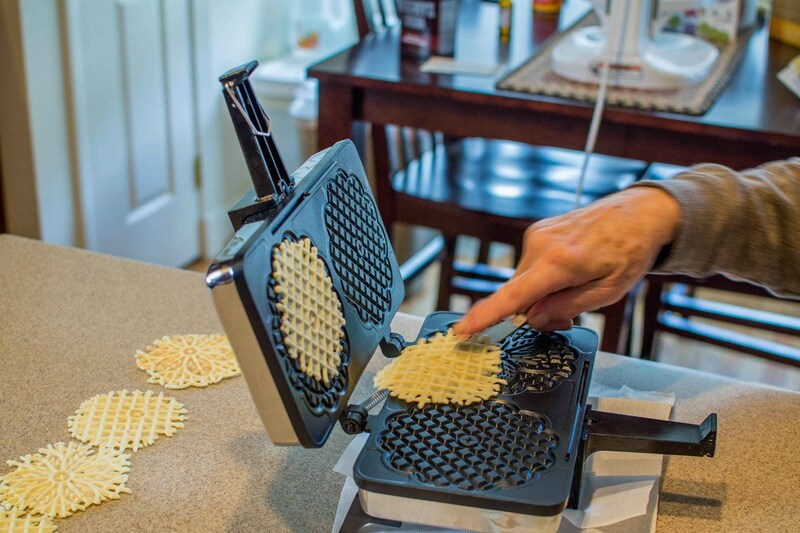 Want a pizzelle maker that can impress the crowd? Consider investing in VillaWare Prego Nonstick Pizzelle Baker, and you're on the go! This unit can make four delectable cookies at a time. Plus, you will only take around thirty seconds for your sweet treats to correctly crunch up. If you want an additional special dessert, simply dip in dark chocolate. Perfect to share with your whole family and pool of friends! Just like Palmer Pizzelle Maker Classic, this unit does not have an automatic indicator or timer as well. But, it features a thermostat light that will notify you when it is ready to start crisping up cookies. Since its inception, Palmer Pizzelle Maker Classic has been gaining much popularity due to the robust and no-frills functions it features. It has two different designs and a five-inch cookie plate, allowing homeowners to cook seriously dazzling, yummy pizzelle for any occasion. 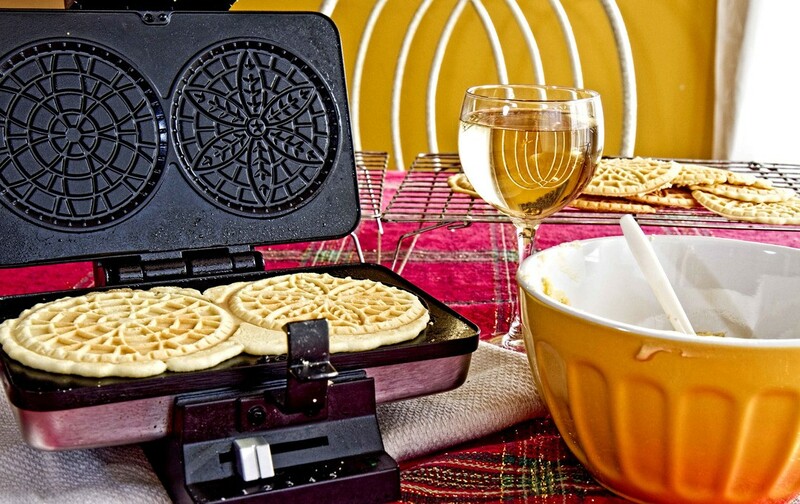 This pizzelle maker aims to deliver the classic taste of cookies in just half the time. It doesn't include a special timer or indicator. Hence you need to spend enough time familiarizing the tool and be conscious of the exact time with your pizzelle so that it will cook as per your desire. Making delicious pizzelle is easy and fast if you have the right product with you. 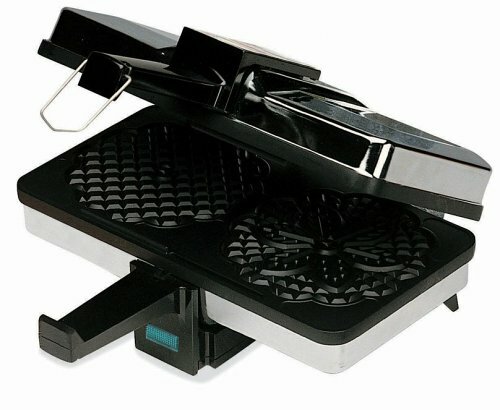 According to the review and features, we suggest Cuisinart WM-PZ2 Pizzelle Press as a good investment as you can cook your pizzelle in just seconds. Plus, consistent heating is offered for a crispy finished product. Pizzelles may get burned, but you can prevent this by being conscious of time. This unit is especially ideal for working individuals or busy persons who want to cook healthy treats quickly and gorgeously. Preparing cannoli is also made easier with this model. We hope that you find this review helpful in choosing the best pizzelle maker. Let us know what you think by leaving a message below. Hit like and share, too!